The Association of Major Religious Superiors in the Philippines (AMRSP) is the joint forum of the Association of Major Religious Superiors of Men in the Philippines (AMRSMP) and the Association of Major Religious Superiors of Women in the Philippines (AMRSWP). 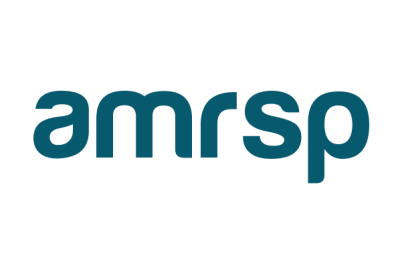 Therefore, it is necessary to look into the beginnings of AMRSMP and AMRSWP in order to develop a better understanding of the history of the AMRSP. The formation of the AMRSMP and the AMRSWP in 1955 and 1957, respectively, was a result of the directives from the Sacred Congregation of Religious acting through the Papal Nuncio. The original statutes of the two associations suggested by the Sacred Congregations described, among others, the nature of the two associations. The AMRSWP and AMRSMP were defined as “permanent organization(s) of religious communities of (women/men) in the Philippines in the person of the major superiors.” As such, membership is not voluntary but, rather, mandatory. No institute of active life is theoretically allowed to resign its membership. For a time, the two associations confined their activities to “ad intra.” However, at the beginning of the 1960s, the AMRSMP and the AMRSWP were moved to the fringe of the social question which has become worldwide. The widening differences in the world’s levels of life, were rich people enjoy rapid growth while the poor people develop slowly, brought about the acute disquiet that has taken hold of the poor. The major superiors began to question themselves in relation to their relevance to the people’s situation. This social awakening moved the AMRSWP to create the Sister Formation Institute (SFI) in 1963 in order to provide a program of studies that will meet the needs of religious women in the work of evangelization. The AMRSWP also took cognizance of the unanswered needs of the rural poor. These two projects helped in the unification of training facilities and apostolic action. The 1960s ended with social unrest escalating in neighboring countries — coup d’etat in Indonesia, cultural revolution in China, and racial riots in Malaysia. In the Philippines, the deepening inequities in the country gave rise to dissent.